The Bloody Brothers... Who are they ? Bloody Osiris ? Bloody Dior ? Bloody what ? These two bros hailing out of the fashion capital NY are dripped up and dripped down. The New York based stylists were featured in the look - book for Kanye West's YEEZY SEASON 3 launch ( See Below) . 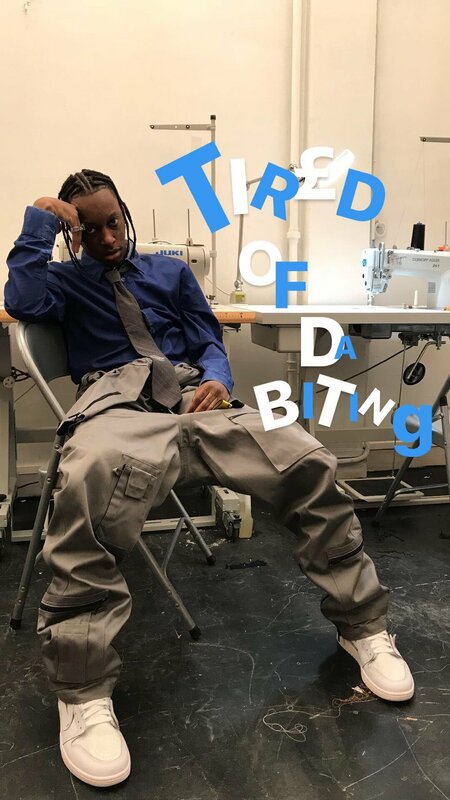 Their hoodrat style and out of the box clothing endeavors have gotten the attention of another NY fashion king, the head of VLONE, A$AP Bari. For those who follow streetwear fashion, these two names are probably familiar to you already. Recently Bloody Osiris was spotted in Paris, France assisting the infamous Virgil Abloh at an OFF WHITE spring photoshoot. Both were seen crafting looks and style that are extravagant to some and extremely weird to others. The brothers are only in there 20's and have been seen with some of the largest names in the fashion industry. Kids from the harsh blocks of Harlem featured on runways in Madison Square Garden and Paris ? Who would of thought... Be sure to keep a look out for the Bloody Bros, their style will definitely catch your attention. The Bloody Brothers are the young faces in today's fashion runways. They recently launched a new line of bandanas for their clothing line "Jerome Jhamal". Rappers like Lil Uzi Vert & Rich Da Kid have been spotted wearing the silk blend vibrant bandanas.